Top of the line - like no other in JORC. Tile floor throughout. White shaker kitchen with quartz counters, zero radius sink and SS appliances. Full size front load washer and dryer. Newer Bath rooms, Newer AC and Hot Water Heater. Don't miss out on this gem. 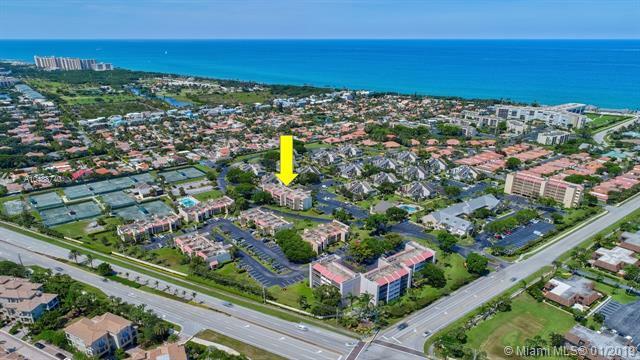 In the heart of Jupiter Beach, pet friendly, fully furnished condo is walking distance to Beach & Riverwalk. Great Rental History. Listing courtesy of Crane Reed Properties, Llc.